The Syrian army and Hizballah advanced to a point on Tuesday, July 17, that was close enough to Israel’s Golan border to bomb its northern cities. Yet Israel’s leaders had shifted their attention to Gaza and a possible counter-terror operation against Hamas. An approaching operation was signaled by the IDF’s troop build-up around the Gaza border, the deployment of extra Iron Dome anti-rocket batteries in Greater Tel Aviv and video presentations of soldiers geared for battle run on TV screens. Commanders interviewed by military reporters outlined their targets and the sectors of the Gaza Strip to which their units were assigned. Adding to the drama, both Prime Minister Binyamin Netanyahu and Defense Minister Avigdor Lieberman paid visits to the IDF formations with pep talks. With them was the Chief of Staff, Lt. Gen. Gady Eisenkot. The day before, Netanyahu paid his first visit to Sderot, the town long battered by Palestinian rockets from next-door Gaza. Suddenly, no one remembered that a Gaza operation had been ruled out for months because the danger to the northern front was deemed more pressing, even though the worst-case scenario was now at hand. On Tuesday, while Israel’s top officials toured the south, the Syrian army, eighty percent of whose troops are members of Hizballah and Shiite militias loyal to Iran, had pressed forward to the Quneitra region and reached a point 4km from the Israeli border. Seeing the Syrian and Hizballah troops so close, dozens of Syrian refugees came up to the Israeli Golan border waving pieces of white clothing and appealing for help. IDF officers told them through loudspeakers to go back to their tents in the demilitarized zone. 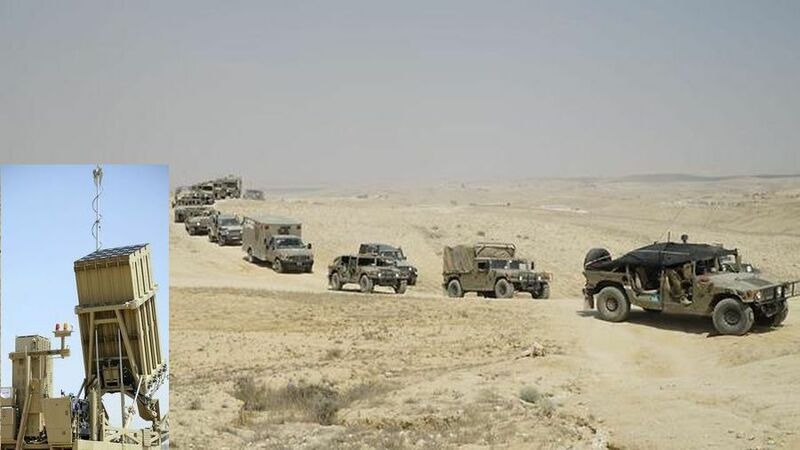 IDF officers posted on the Golan reported anonymously that Syrian and Hizballah forces had captured the hilltop town of Tel Al-Harra, from which they could not only blast all parts of the Golan, but even reach Israel’s northern Galilee and Mediterranean coastal towns, like Nahariya. No official bothered to tell the Israeli public why the Netanyahu government had suddenly abandoned the northern front. The first clue came from the abrupt halt in Israeli air force flights over the embattled districts of southern Syria on Tuesday, July 16, as US President Donald Trump and Russian President Vladimir Putin sat down in Helsinki for their first full meeting. It was Putin who shed light on the change when he disclosed that he and the US president had agreed that Israel’s border with Syrian should be secured according to the terms of the 1974 separations of forces agreement for the Golan, thereby endorsing a demand made in the last two weeks by the Israeli prime minister. This entry was posted on July 18, 2018 at 9:18 AM and is filed under Uncategorized. You can subscribe via RSS 2.0 feed to this post's comments. You can skip to the end and leave a response. Pinging is currently not allowed.